Brexit Effect on Pound - How FX Market Reacted & What Now? It has been decided – Brexit is now a new reality for both the general public and the financial markets. Without getting into the political aspects of this whole ordeal too much – those are still being decided on as we speak – it should be noted that the effect of the former second largest economy within the EU will be far-reaching indeed. This is especially true in regards to Forex markets, as it is unclear as to what the Brexit effect on pound is going to be in the long run. The implications of Brexit are there and they need to be addressed before it is too late. However, as the people are still coming to term with what is possibly the single most monumental even since the fall of the Berlin Wall, only a handful of individuals have demonstrated the foresight to focus on what is truly important here. 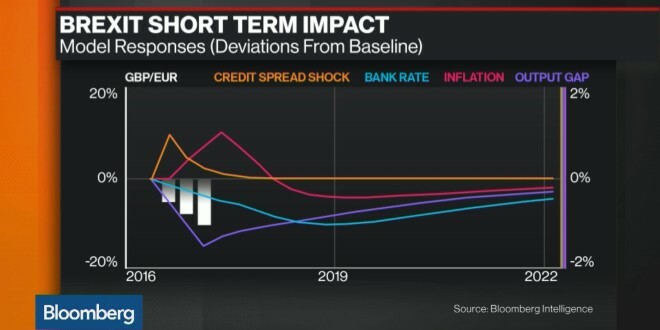 Here is what Forex market news have brought us about the financial impact of Brexit. On the eve of the referendum, people all over the UK as well as Forex traders around the world were frantically trading the pound for more stable currencies. 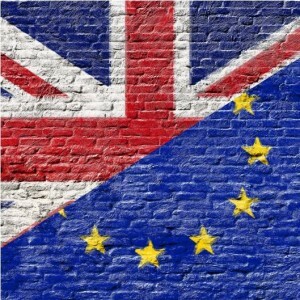 As the implications of Brexit are becoming more evident, they probably feel pretty good about themselves, as well as a bit concerned as for what their future is going to be like. One could argue that the Brexit effects became apparent even before the referendum was in full swing. 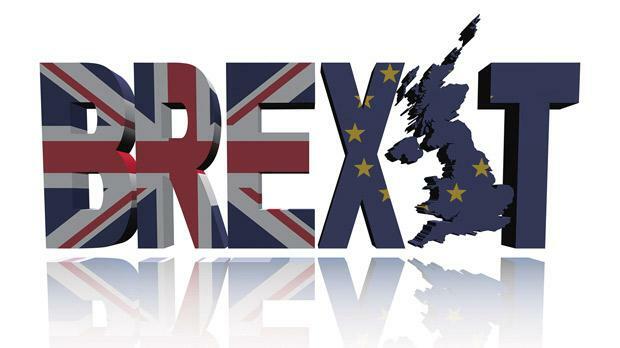 Despite most analysts and even bookies predicting that the UK will remain in the EU no matter what, it has not stopped the pound from taking a slight hit just before the referendum, as well as the huge blow it suffered just after the results became apparent. The Brexit effect on both euro and dollar are somewhat smaller, with the pound dropping a whopping 10% at one point, to the lowest point in the last 31 year. The Brexit effect on the euro has also been an unfavorable one, with the EUR/USD dropping to 1.1095. This is understandable, considering the political and social crisis the EU is currently experiencing the political impact of UK leaving the European Union. The financial impact of Brexit, however, is not only limited on currency value. Indices and stocks have also taken a plunge and will continue to do so for at least a few days if not weeks. More currency news to follow! When it comes to currency trading, the most affected Forex currency is the pound. No surprises there. But, both Euro and US dollar are tagging close behind. 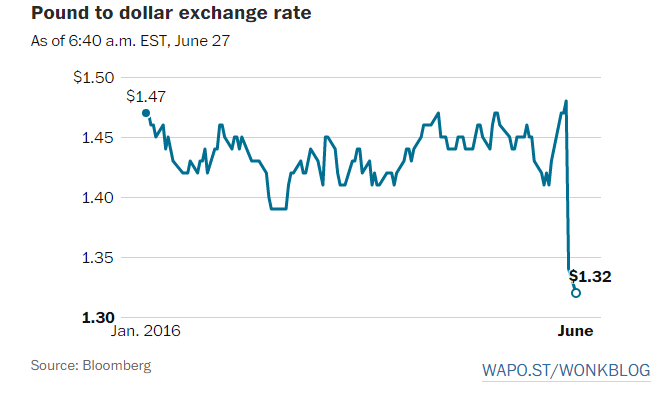 The dollar actually strengthened against the pound but weakened against the Yen. Still, most of these currencies have slightly recovered by the end of the day. It is a good thing the results of the referendum came out on a Friday. That way, the market had some amount of time to hastily react to this news and its impact. In other words, to possibly diminish the overall Brexit effect on pound. As for the long-term Brexit effect on dollar, the situation is expected to stabilize next week. FED spokesperson announced they will ensure liquidity in terms of the U.S. currency that extends to other central banks in an effort to neutralize the pressure coming from the global market. The long-term Brexit effect on euro is something else entirely. It remains to be seen what response the EU leadership will have in store for this scenario and whether the divorce will be on friendly terms. Otherwise, things are bound to get heated and this instability will definitely be bad for the Euro. Most importantly, the long-term Brexit effect on pound is going to be a profound one. Even though Article 50 gives the EU and the UK two years to work out all the details, as well as the additional time period, this breach in trust is going to affect the costs within the UK for many years to come. The living expenses will probably jump, as well as the costs of doing business. All of this will have a serious impact on the value of the pound, in addition to the possibility of the entire thing getting another dimension as things spiral out of control. By this we mean the political instability within the UK. 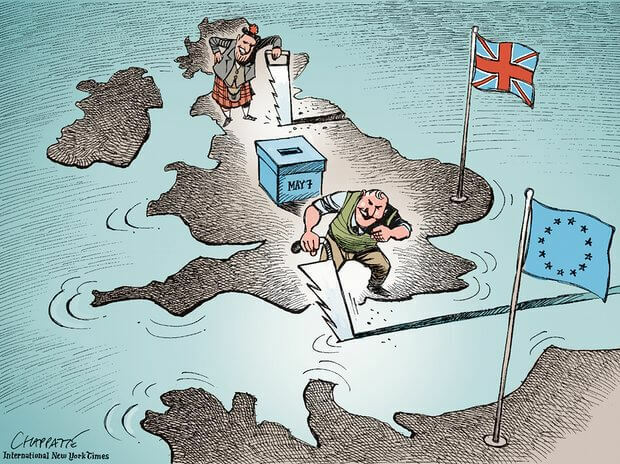 It seems Scotland voted against Brexit, and so did Northern Ireland. England and Wales hold the majority of Brexit enthusiasts and they are not even within large cities. The talks of secessionism are beginning already and this is a story that will occupy the minds of Forex traders in times to come. .For now, things will probably be in a state of turmoil for some time before business resumes as normal. The two-year “waiting” period as well as the emergency measures that are being implemented as we speak will ensure the immediate impact of Brexit be cushioned as much as possible. According to Bloomberg, the pound taking a beating has never been an issue, as much as the extent to which this would happen. At one point, the GBP/USD pair was at 1.3229 only to recover to 1.3767, compared to 1.4974 from yesterday. However, the Brexit effect on pound is not the only thing at stake here. As investors switch to options as a direct response and indices falling almost across the board, with Dow Jones leading the way with 2.2%, and S&P 500 and Nasdaq with 2.4% and 2.9% respectively. FTSE 100 lost 3.6%, DAX was down 6.5% and KAK 7.1%. Major U.S. banks with headquarters in London had quite a stormy night. Goldman Sachs and JP Morgan Chase lost 5.6% and 4.4% respectively. Apart from the Brexit effect on pound and other consequences, the next few years are going to be very interesting. For one, it is unclear if any countries are going to follow the UK trail. France and the Netherlands are mentioned as the most obvious candidates. But Poland, Spain, Denmark, Hungary, Finland and even Austria have their fair share of concerns with the EU. The UK needs to finalize its divorce with the EU, but nobody probably knows how will the EU look like in not so distant future. Still, a very slim chance for the UK to stay within the EU in some form lives on. The UK government does not “technically” have to implement the result of this non-binding referendum. But, for them not to do so would cause even more problems and political instability than there already is. However, it would be far more likely for them to work out some sort of an arrangement. For instance, something like the one EU has with Switzerland or Norway. Of course, the Brexit camp would face numerous attacks from within the UK. In leaving the EU, the UK has given up on a lot of leverage it once had. Furthermore, the strain they have put on the relationship with Brussels will not win them any sympathies in future negotiations. They need the EU markets a lot more than the rest of the EU need theirs. This is something the UK government and its people will have to learn the hard way.